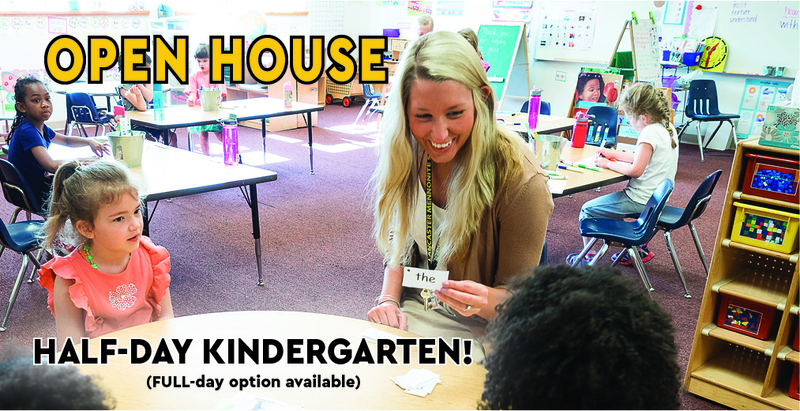 The Hershey Campus will hold a special KINDERGARTEN OPEN HOUSE Thursday, August 10 from 5:30-7:30 p.m. with kindergarten teacher Evelyn Sessions. The Hershey Campus will hold a special KINDERGARTEN OPEN HOUSE Thursday, August 10 from 5:30-7:30 p.m. with kindergarten teacher Evelyn Sessions. The Hershey Campus offers HALF-DAY KINDERGARTEN, with the option of full days.